Unsure of what your jewelley size is? 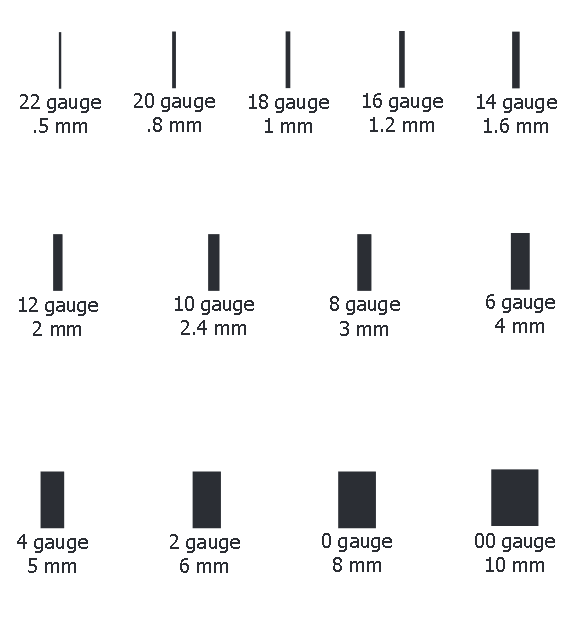 Our jewellery is measured through a gauge system (unless specified). The *higher* the gauge measurement number the *smaller* the wire is. A common "earring" is usually 18 or 16gauge. A standard ear piercing at a piercing studio with a needle is usually a 16gauge. To get larger gauge piercings you should have a piercing professional stretch your piercings. Jewelry gauges/sizes can vary between manufacturers. There is no universal regulation on companies to make a standard size in body jewellery. A large part of this is that some jewellery is made overseas and measured in millimetres. And in the USA jewellery is measured in inches/gauges. So many times jewellery can be anywhere from .5mm to 1mm different. Below is a diagram to show how different the sizings can be from one to another. 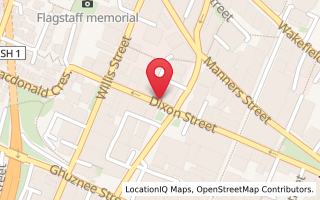 If you are unsure of what jewellery you are wearing please get in touch with us - especially if you had your piercing done with us we will have your jewellery size on file. PLEASE DO NOT HOLD JEWELLERY UP TO THE COMPUTER SCREEN AS IT WILL NOT BE ACCURATE! Next is a diagram on how to measure the internal diameter of rings to make sure that you get the exact size you need! Please note only to measure on the inside of the ring not the outside. 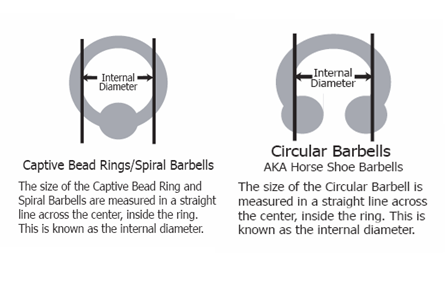 Below are three diagrams on how to measure a straight barbell, a labret stud and a curved barbell. Keep in mind only to measure between the balls or the disc and ball as the diagram shows.